This is a professional pointer made by Garrett company which really helps you pinpoint exactly where the treasure is hidden. This pointer has the role to help you when you want to dig on the spot without spending too much time. The Garrett Pro-Pointer AT is great because it is recognized by others and it has many positive reviews all over the web and that’s all due to the high reliability in all weather conditions. Locate targets faster increasing finds. Dual alert via vibration or audio which increases as you get closer to the target. Auto Setup with Microprocessor circuitry, allowing for maximum sensitivity with no need for tuning. Made by one of the worlds leading metal detecting hobby specialists, Garrett who created the Ace Metal Detectors and the AT Pro. The Garrett Pro-Pointer UK comes with a 24 month Garrett Guarantee. 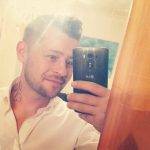 During the 24 months Garrett will repair and replace at no cost to you any parts determined faulty which is really nice from them. The Garrett Pro-Pointer allows the detectorist to locate the target in the ground faster, thus saving time and increasing finds on the day. Once you have dug the plug from the ground, you simply take the pointer and begin to scrape around inside the hole or the earth removed and when you are near the target the probe will begin to beep and vibrate. This is also very handy as some targets are hard to see, the pinpointer is the most accurate way of locating your target. The Pinpointer is great value for money if you consider that using it will save you time searching for targets. 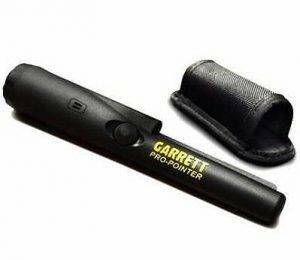 A Garrett Pro Pointer will pay for itself within the first few months. The LED built-in light allows the detectorist to have much better visibility in poor lit conditions and dull days. As you are searching in the hole for the coin or relic the pointer will light it up allowing you to see much better. Not only can you use the Garrett Pointer for the metal detecting hobby, but you can also use it for DIY purposes. For example, you can search for metal pipes in walls or nails in drywall to locate the studs. I feel that if you are carrying the Garrett Pinpointer around with you, then you will need some kind of holster with a velcro strap as when you are digging it tends to fall out a lot. I hope that it will be useful for you guys to check the manual as well in case you need it. You can go to the manual by clicking here. The Garrett Pro Pointer will probably be one of the best purchases you ever make during your hobby if you really are doing this on a regular basis. Plus this that it’s waterproof so you will be able to use it close to anywhere and in high humidity places like in the UK. When I first started out I never had one, and you get by of course but until you actually take the plunge and purchase a pointer you won’t realize just how beneficial it is. My finds increased, and it took so much hard work out of locating targets. It makes locating finds so much simpler, which in turn as mentioned previously will increase your find rate as you are spending less time recovering targets, giving you much more time to spend covering a larger area. I bought one and in retrospect it paid for itself within the first couple of months when I realised that I was finding more in a day metal detecting. Where to buy? Garrett Pro Pointers For Sale! Hi Peter, I’m not really inclined to go with Notka because of some of the 1 stars rated and some mentioned that the pointer had issues from the start. I think there’s a better option, the newer Garrett pro pointer 2 which passed the test of time and the reviews are like 95% good.